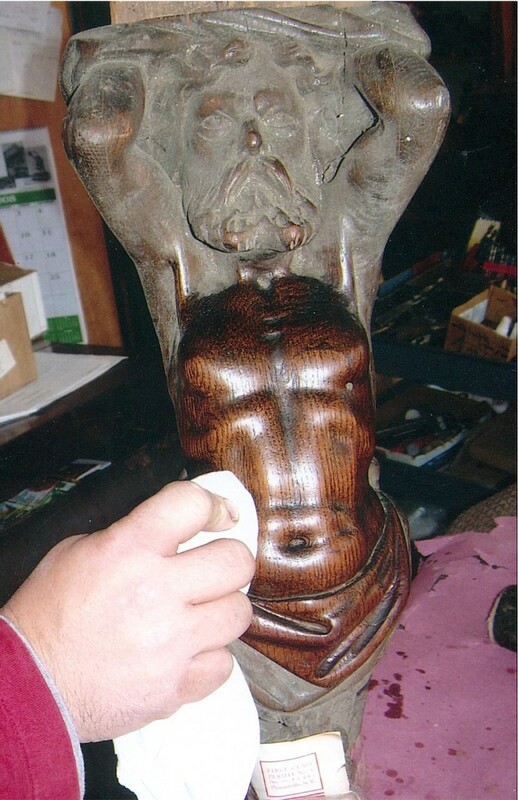 Tarrytown Woodworks can restore not only furniture but also art objects. Sculpture and other art works must be treated with extreme delicacy. This Buddha’s hands were seamlessly reattached. 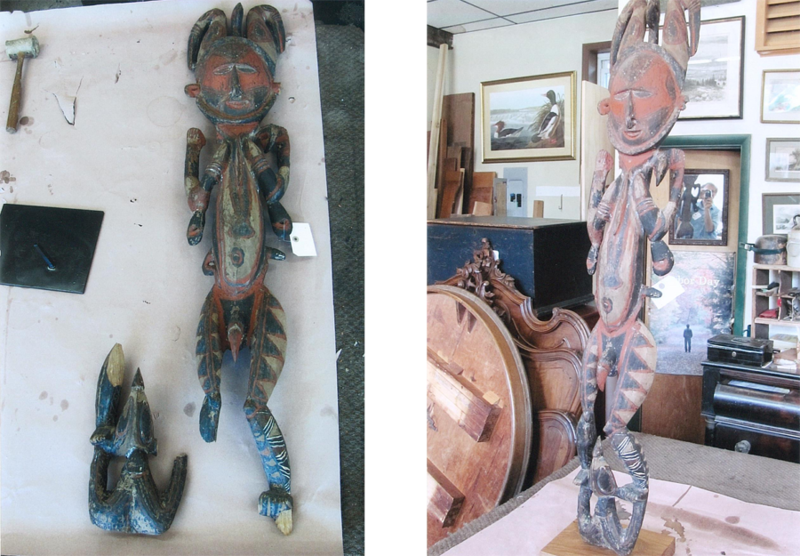 An ethnographic figure was damaged by a poorly designed display stand. After repair it was mounted on new sturdy and attractive base.